Contemplating a personal injury lawsuit can be daunting. You probably have so many questions about what is to come, what do you need to be doing, and anything else you are questioning. While all lawsuits are different from each other, every case will generally follow the same path. The first step in any personal injury claim is that there needs to be an injury or accident. Next, you will seek medical attention and ensure that you are safe and on the road to recovery. The last step of the more “preliminary” steps is to contact a personal injury attorney to review your claim and determine if you have a case. It’s important to note that Florida has a statute of limitations on personal injury suits. 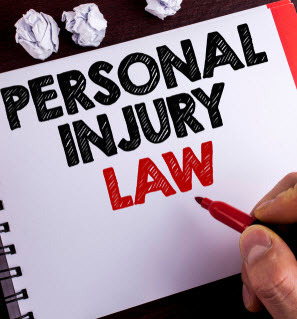 To be sure, a personal injury lawsuit suit must be filed within four years from the time of the injury or accident or when the injury is discovered. After you have hired an attorney, this is when the work on the case begins. Your attorney will investigate your claim. The first step in this investigation is giving your attorney all of the details of what happened. This is called an intake interview. You will need to share exactly what happened to cause the injury/accident, provide information on preexisting medical conditions, medical issues after the injury or accident, and any other background information that is deemed important. Your attorney will look at your medical bills and any other paperwork that has been given to you about your treatment or diagnosis. Depending on the type of personal injury claim you are filing, there will be different opposing insurance companies that will be dealt with. A claim will first be filed with the opposing insurance company demanding payment or settlement. If no settlement is reached, your attorney will file a formal lawsuit with the court. This starts the litigation phase of your case. Discovery involves each side of the suit requesting documents and interrogatories from the other side to build a case. Interrogatories are written questions that ask both background questions about you and substantive questions about the accident. Requests for production are requests for physical (or digital) copies of documents that the other side finds necessary in their case. There is an opportunity to object to certain requests or interrogatories. Additionally, request for admissions will also be served. These are documents that ask the other side to admit or deny certain facts. Further in the discovery process are depositions of relevant parties. Depositions are when the other side gets to ask you questions under oath, without being in a courtroom. Throughout discovery and before trial, there is an opportunity for additional settlement. Again, if no settlement is reached, the case will proceed to trial. The duration of the trial can be months to years long, depending on the complexity. During trial each side will present their case for an outcome to be decided. If you are considering filing a personal injury suit in Florida, the Leifer Law Firm can help you. Our experienced personal injury attorneys can handle your case from intake to trial. Contact us today for your free consultation.